One of my favourite things about Autumn and Winter, is getting cosy on the sofa with a few drinks, a blanket and something really good to watch on tv. I was recently sent an Amazon Fire TV Stick to try, and it has seriously changed how I watch tv - I don't know what I'd do without it! My favourite programme of the year is finally back; The Apprentice. I get so involved with this show every year, and always find myself wishing that I was brave enough to apply for it! It drives me mad with just how daft some of the candidates seem to be, but I guess it's all in the name of entertainment. I love the buying task, and of course the intereviews... I always enjoy hearing about all of their business plans, it's so interesting. Banged Up Abroad is a show that we have loved watching for as long as I can remember, and now that there is a new series, we have been enjoying watching those, as well as rewatching some old episodes. It's one of those programmes that has us on the edge of our seats for the entire show, we barely blink while it's on! I'm a huge Hollyoaks fan, and have been since the Kurt & Jambo days. It just really annoys me that it's on so early, as I'm often out when it's on. Now that I have the Fire Stick, I can watch today's episode on the Channel 4 app at any time I wish - it's so handy! As much as Robbie hates me watching it, I always find the time to catch up. Dragons Den is another show I love to watch, and wish I could go on... I just need to invent something first! Much like The Apprentice, I love to hear people's ideas and see their inventions. I think that there is a budding entrepreneur in me, desperate to get out as it inspires me so much. I'm actually working with one of the people who went into 'the den' this series, which you'll be able to hear about on my blog soon. Annoyingly, I'm one of those people who loves Strictly and XFactor, which poses the problem of which do I commit to when they're both on at the same time! Now I have my Fire Stick, I don't have to worry... I can watch one live and catch up with the other straight after, or the following day if I need to, the programmes are just there, ready and waiting for me on the BBC iPlayer and ITV Hub apps. I actually think this years XFactor is one of the best in a very long time, I love Rak-Su, Grace, Matt and Kevin so much! I also now have the option to catch up with the TV shows I wouldn't necessarily make sure I'm in to watch each week, but will happily spend time watching when I'm eating tea or relaxing with a drink after a busy day. 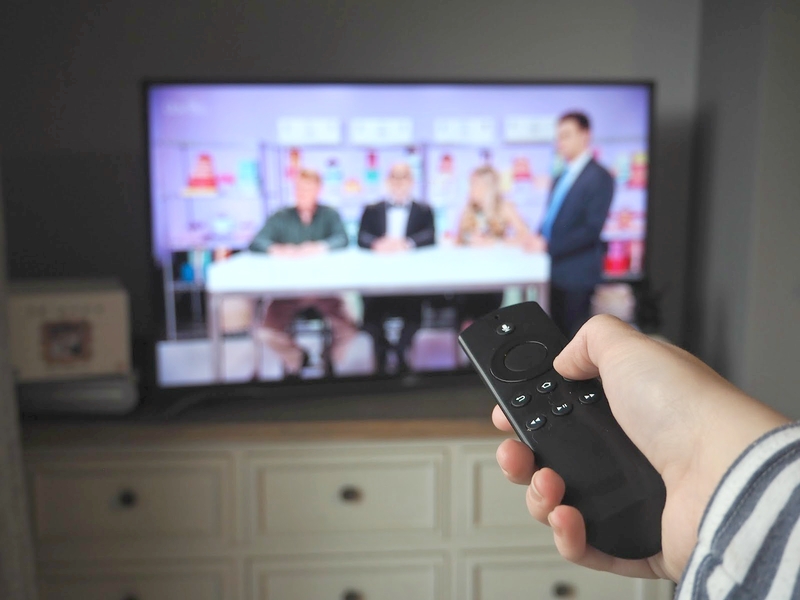 Things like Gogglebox, Dinner Date, The Chase and Cake Wars always make great viewing, and with the Fire Stick, I can pop them on and watch whenever I fancy. What programmes are you enjoying most at the moment? I'd love some serial drama recommendations to get stuck into now the dark nights are here!